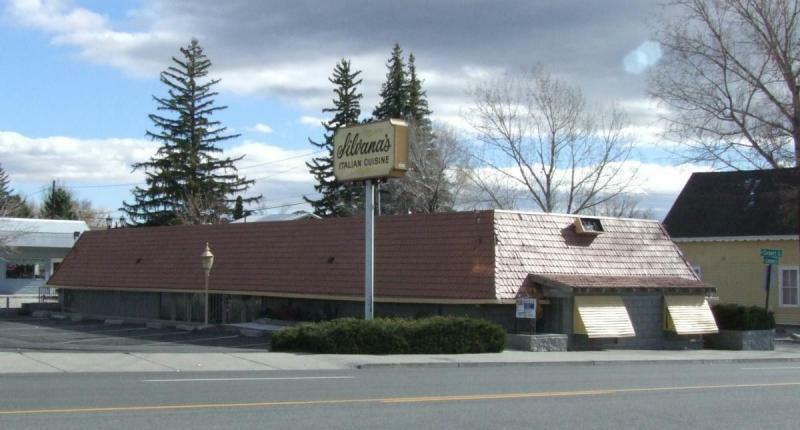 I remember reading not too long ago about new owners taking over Silvana’s Italian restaurant in Carson City. The previous owner, Silvana Borselli, had been at it for 19 years and she was ready to retire. So she found a mother and daughter team, Amy Brown and Jena Taylor, to take over running the restaurant. Jena was 23 years old, fresh out of culinary school, and according to the article she dove into the role of head chef, learning all of Silvana’s recipes and creating some of her own. She even had a history with the restaurant, working there as a teenager before she went away to culinary school. But not every story has a happy ending. Silvana’s under the new owners was never able to make a profit. Maybe it was lack of advertising, high prices, or just bad management. But the restaurant has been closed and up for sale for most of 2006 now. 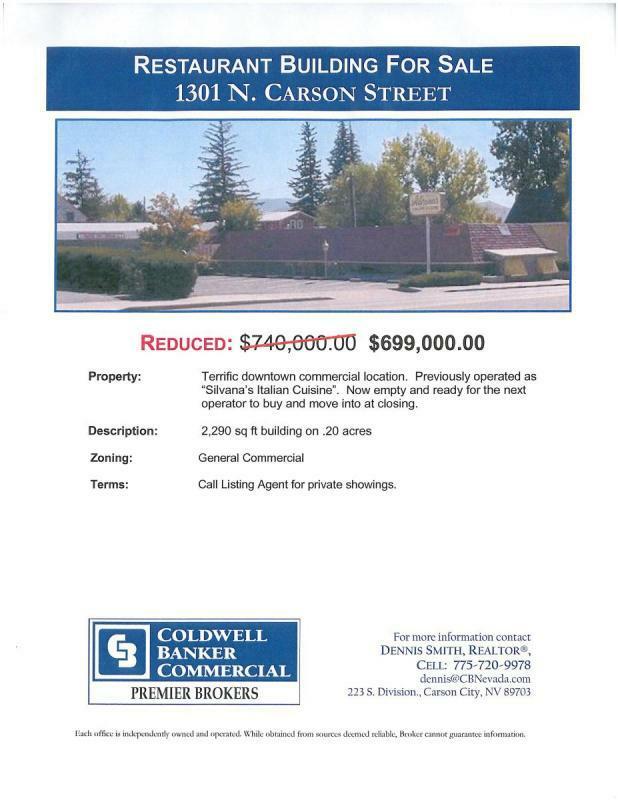 It’s one of those properties that seems like it will never sell. Just like the Bliss Mansion (and the Bender House across the street), Silvana’s has been sitting with a “For Sale” sign for months and months. It’s already been reduced by $40,000 over the course of the year, and it’s now selling for $699,000. Seems like a good deal to me, if I was going to be looking at getting into the restaurant business. In fact, with the market starting to droop the way it is, you might even be able to pick it up for less. Anyway, here’s hoping that someone else moves in there soon. I stopped by today and grabbed one of the “Take-Me”s they have out on the street. Let’s get some creative community juices flowing here. What kind of restaurant would you like to see in the sunken building? Or do you just want Silvana’s back, whoever may own it?